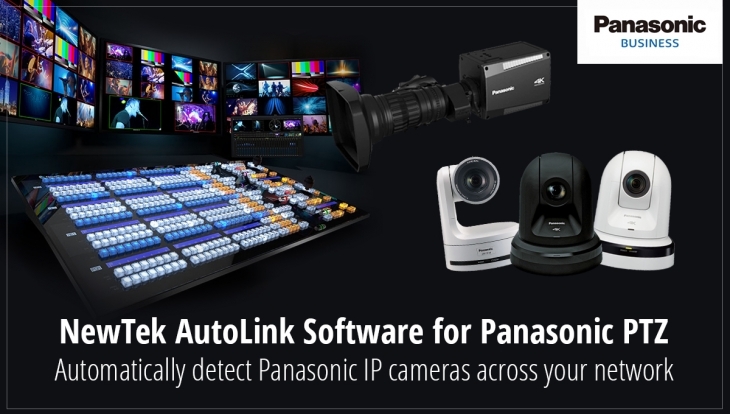 Panasonic and NewTek have joined forces to bring NewTek AutoLink™ to industry customers. The new software application, which detects and automatically connects to Panasonic network-based PTZ cameras, provides quicker set up, easier integration and more efficient use of bandwidth. The presence of Panasonic IP cameras is automatically detected from NewTek TriCaster® and the IP Series Video Mix Engine. Cameras become immediately available for use in networked video production workflows without any additional configuration. There is no restriction on the number of IP cameras that can be connected, ready to take live into production. Video translation and transmission is also only initiated when the camera source is selected, crucially saving valuable bandwidth and system resources. 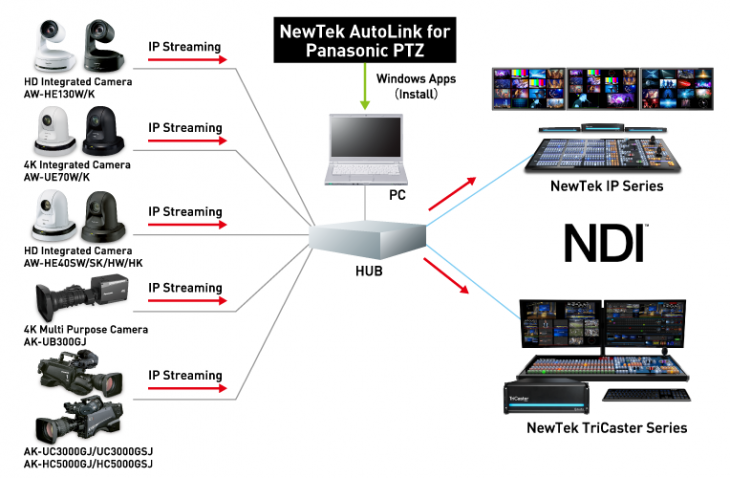 NewTek AutoLink for Panasonic PTZ is also compatible with the PTZ control functionality integrated into TriCaster and the Video Mix Engine, enabling the user to manage orientation, zoom, focus and iris of supported cameras directly from the user interface or a compatible controller. NewTek AutoLink is PC-based conversion software that allows camera control, NDI and streaming, and works with Panasonic IP enabled professional cameras supporting RTSP stream delivery over an Ethernet connection. Compatible with Panasonic PTZ cameras, studio cameras and 4K box camera, AutoLink enables the user to manage orientation, zoom, focus and iris of supported cameras, and store and recall camera presets, directly from the user interface or a compatible controller.